﻿Hurricane's and Tropical Storms - we usually know that they are coming and the news is telling us to batten down the hatches. We also know that some of our customers are in a position where they cannot properly prepare their home for a big storm that's coming. They may be elderly, in poor health, or in a military family where Dad is deployed and Mom has her hands full with keeping the kids safe. We provide storm preparation services so that our customers can have peace of mind. For a small fee, we can come to your home and secure awnings and outdoor furniture. and board up beach homes for storms. Call us before it gets bad to discuss your particular needs. Sometimes, dealing with an insurance company makes storm damage to your house even more of a headache. We aren't insurance experts, but we do know a thing or two about working with insurance companies, and we can provide them with detailed and accurate assessment of the damage and the repairs your home needs to be properly restored. Make sure you have all documentation and evidence that you need. Answer questions about any damage that occurred and the condition of the building accurately and completely. Remember that the insurance claim adjuster works for the insurance company and has their best interest in mind, not yours. Be calm and patient when talking to an adjuster. Don’t say something that will jeopardize your claim. Didn't get the settlement offer you were expecting? Be prepared to follow up with proof to support your case. 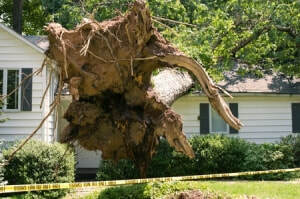 Storm damage to your home or business is the last thing anyone expects. But it happens. The roof is usually the thing that takes the biggest beating in a storm, but it could effect your siding or windows as well. High Winds, Trees, Rain, Hail, Snow all take a toll on your roof. When damage has occurred, it's hard to deal with. You need someone on your side. Just so we are clear - Emergency Roof Repair is not... I repeat NOT... throwing a tarp over the roof and waiting for the rain to stop. You must patch the roof to ensure there is adequate drainage, and that further damage cannot occur. 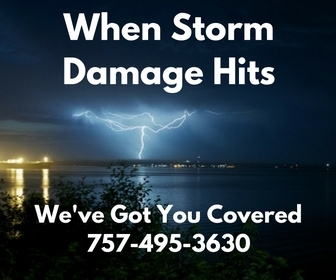 When you have significant storm damage, well actually - any damage, you should call a contractor in Virginia Beach that has the ability to assess and fix the problems. Not all of them do. AED Is Your Trusted Solution! You need a reliable and trustworthy roofing and siding contractor to assess and make any necessary repairs. We're a Class A Contractor in Virginia, with Advanced Technical Building - the highest licensing you can get in the State of Virginia. ​That means that we can pull permits for anything - interior and exterior (yes that includes all type of remodeling). The things we can't do, because they take a separate license are things like electrical, HVAC, and plumbing. If there is any kind of structural damage we are licensed to assess and repair it. Many roofing companies are not. 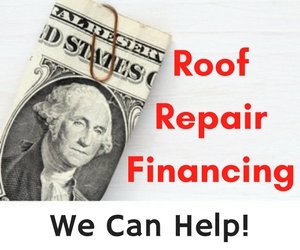 AED Roofing and Siding are local roofing experts who will work with you to ensure that your home is restored to perfect condition. ​Chesapeake, Hampton, Newport News, Norfolk, Portsmouth, Suffolk, Virginia Beach, Williamsburg, and Yorktown and throughout the Hampton Roads areas.